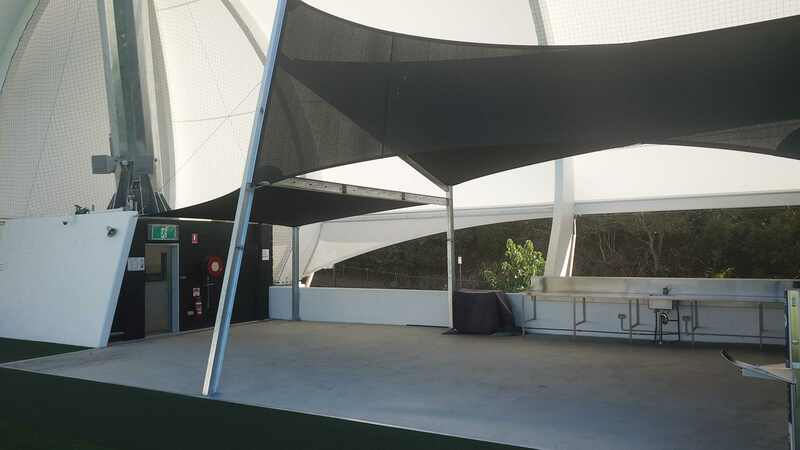 A newly completed architecturally designed shade structure as part of QUT’s new sports stadium. 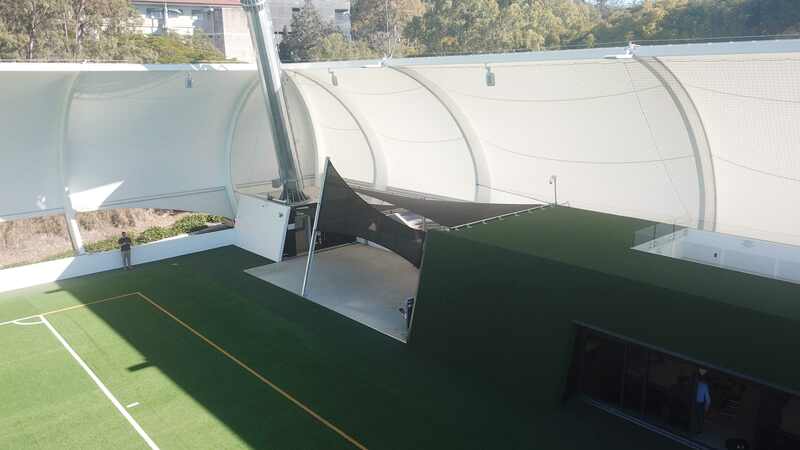 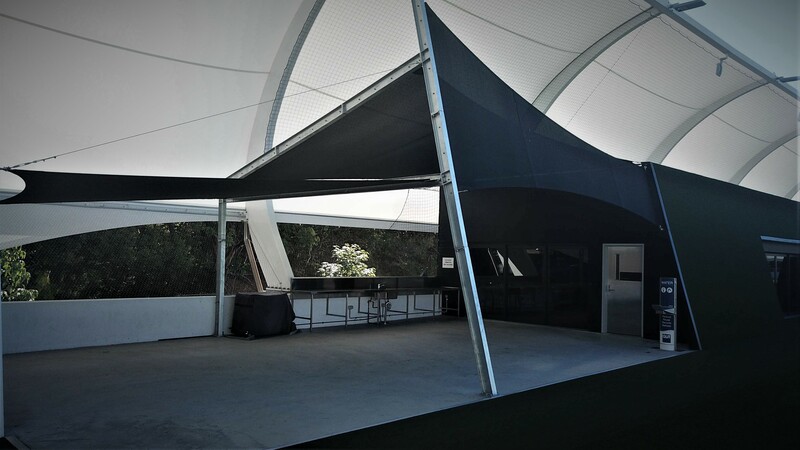 Construction: Steel Laser-Cut Base Plates, Hot Dipped Galvanised with Concrete Footing Systems And Custom Fabricated Steel Columns With Shade Cloth Membrane Fixed In Place. 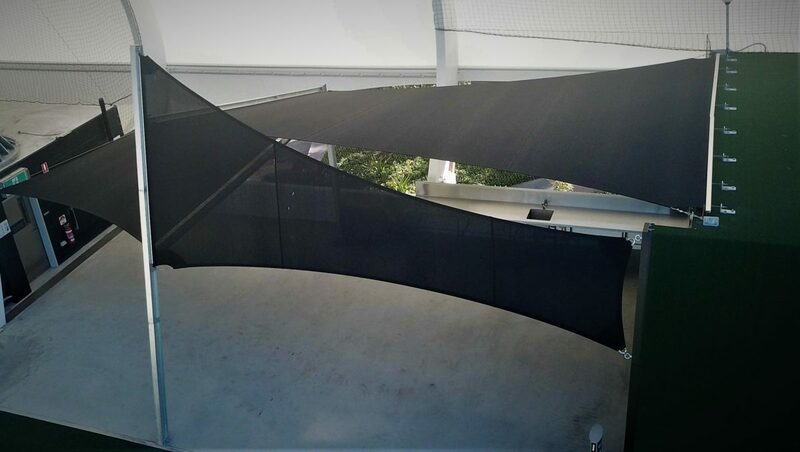 The high and low posts keep the sail tight and optimised shade and water run-off. 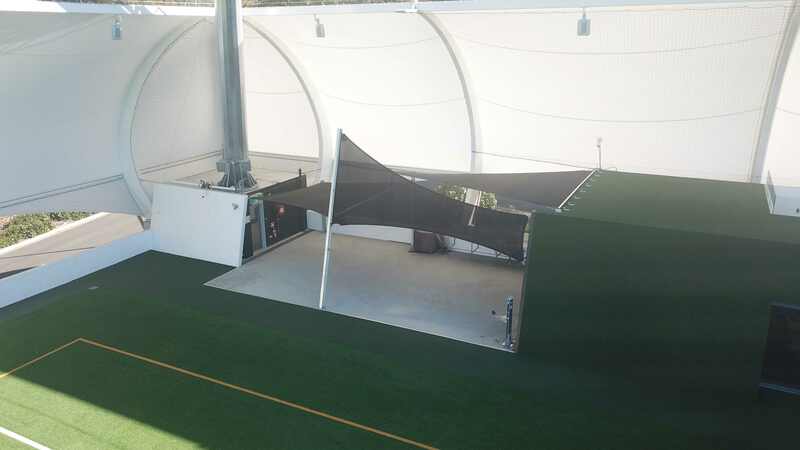 The shade structure added visual connection with the existing stadium’s form and defined the area well. 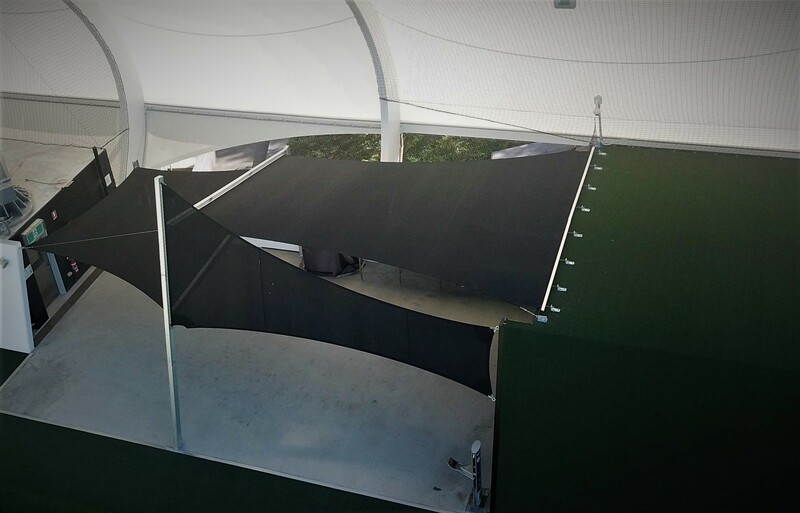 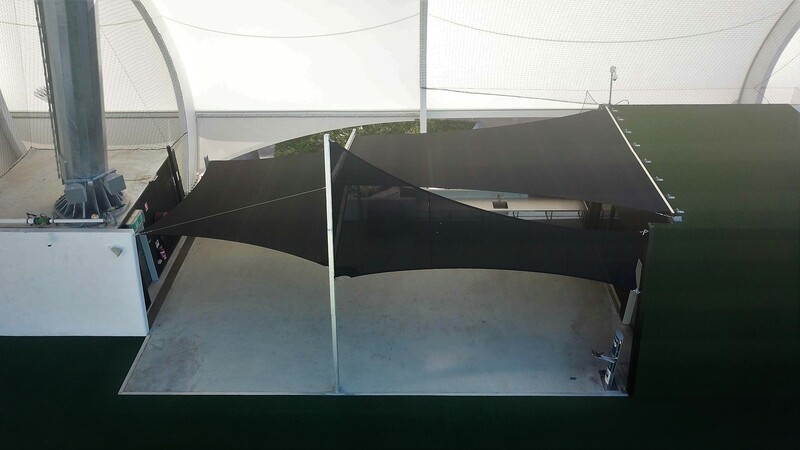 The classic hypar (twisted) shade sail works well for this application as it hold its shape and adds an architectural look and feel to the area.